Originally published under the title, Keep Love in Your Heart, Little One in 2006, this story seems to be aimed more at parents, but will also appeal to children through its bright and jolly illustrations. Big is Small’s parent and at night he/she creeps into Small’s room and begins a soliloquy about how much Small is loved, how proud Big is of him/her and how much he/she hopes for Small’s happiness in the future. It’s all a bit ‘worthy’, though the rhyming couplets are nicely done; certainly parents do think these things about their children, and they may enjoy having their feelings expressed. Small is not, of course, asleep and so hears the parental out-pourings and is pleased. The story can get away with the fact that neither parent nor child is obviously male or female because the illustrations show us an amorphous pair who may be aliens or may be pure fantasy animals. 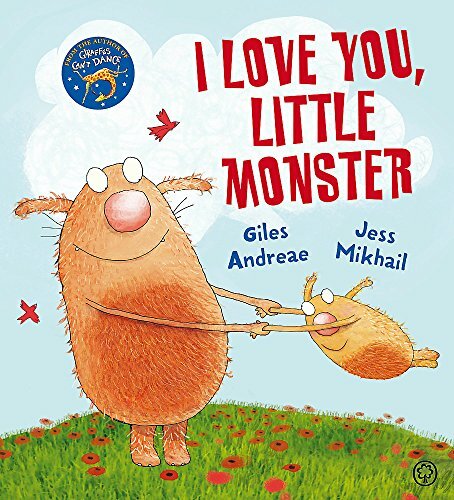 There is lots of bright colour and parent and child have fun together, but this reviewer wonders if we really need another book about family love, even though this one is from the parental viewpoint.